Like many, I’ve grown accustomed to Lazada; the most popular & modern online shopping site in most Southeast Asian countries. Japan however is different. Second most popular shopping site is Rakuten seller portal. Read on for more info on Lazada in Japan, in 2018…! The Lazada Group has seen impressive growth ever since it’s launch from Singapore in 2012. Over it’s relatively short lifetime, the company has gained momentum as the most visited business to consumer website in Southeast Asian countries of Malaysia, Vietnam, Indonesia, Thailand and The Philippines; a period of less than 5 years. While prospects of Lazada entering the Japanese market remains in hiding. In Singapore however the situation is a little different; Lazada remains a firm second after the popular Qoo10 platform which had launched earlier in 2010 and already established firm roots amongst Singaporean consumers. Somewhat similar to the Singaporean e-commerce market. Japan has already long established it’s online shopping roots, mainly through the more traditional Rakuten Ichiba Marketplace as well as the US based Amazon takeover. 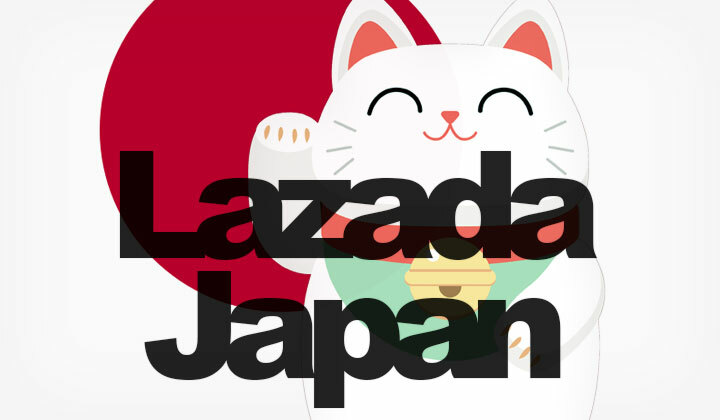 Japan has become a near impossible market to dominate or even enter which has likely had a major contribution to Lazada’s decision to steer away from Japan. One interesting indicator however of the company having considered the Japanese e-commerce market is it’s domain lazada.jp which remains unused. The domain was registered under the name Lazada South East Asia Pte. Ltd. since 2012. The domain lazada.co.jp however is currently available to register which is a country code top-level domain used by one of it’s biggest rivals at Amazon.co.jp; an American e-commerce giant Amazon.com, Inc.
Other major online stores in Japan are Apple and Yahoo! Japan Shopping. See the sites at Lazada Singapore, Amazon Japan & Rakuten. And all other related contributions and questions appreciated. Further notice; there may be hyperlinks known as affiliate links contained within the posts, reviews and text on the Kachi blog. This is a way to voluntarily support the website with monetary means without effort or cost from your part. Thank you for the support. Tim. This website, kachi.jp is a participant in the Amazon Associates Program, an affiliate advertising program designed to provide a means for sites to earn advertising fees by advertising and linking to amazon.co.jp. Please share if you found this post helpful — thank you! I wish there is lazada here in japan..